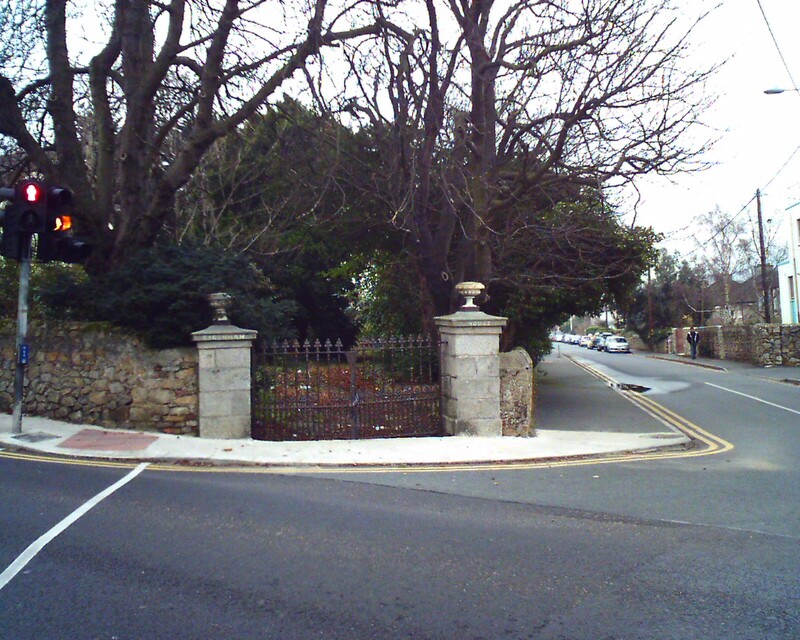 At corner of Sydenham Villas and Upper Kilmacud Rd. Beside Taney School. 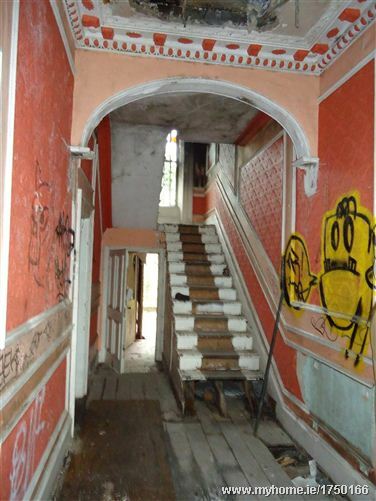 Sydenham House was a Victorian house. See 1887 to 1913 map. Home of Michael Rynne, Irish Ambassador to Spain 1954-61. 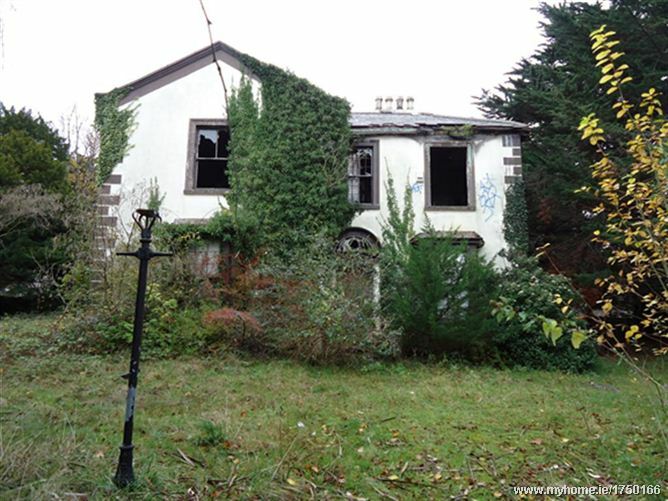 Became derelict for many years. 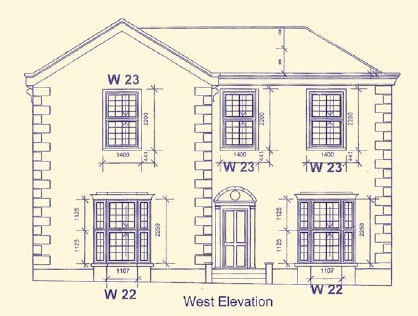 See plan to demolish it, planning application 21 Jan 2013. Permission for demolition granted 13 Mar 2013. 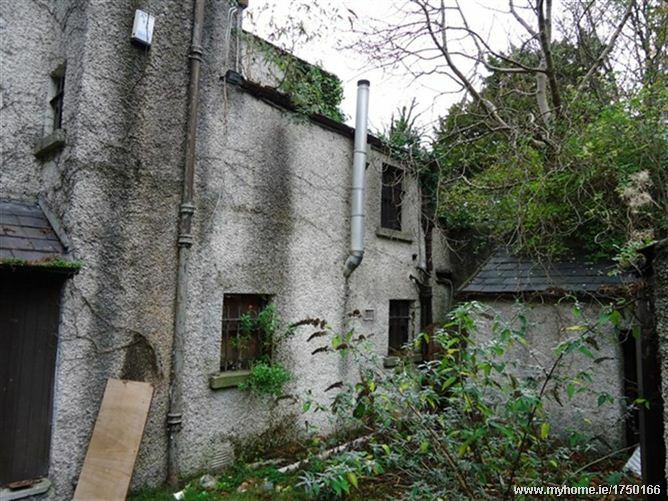 Sydenham House derelict and for sale on myhome.ie as at 2012. 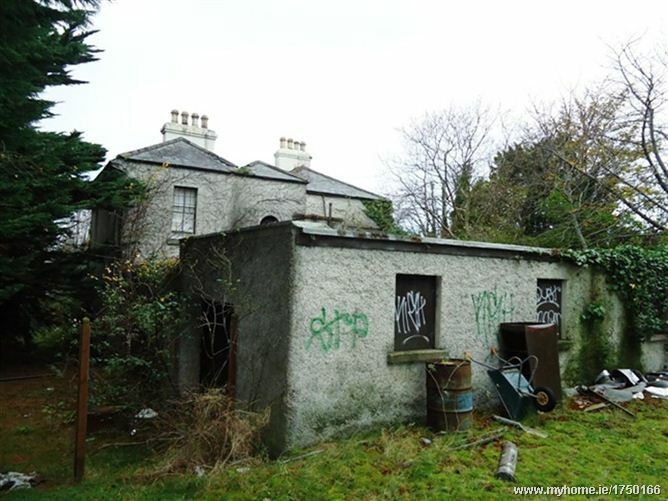 Video of outside and inside of the now deserted Sydenham House, Dundrum. From sales brochure at daft.ie as at 2012. 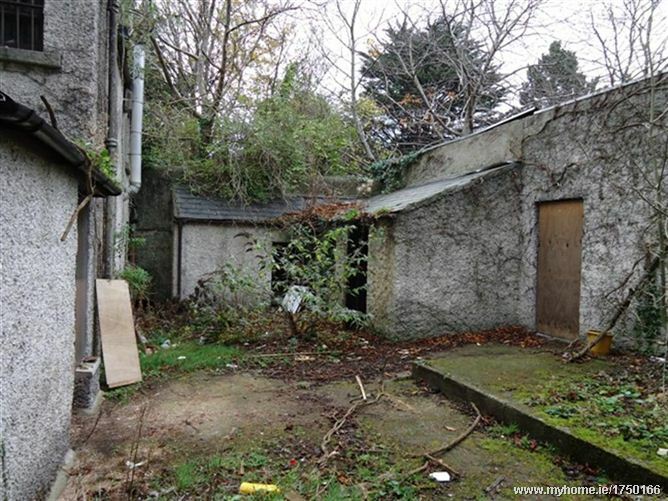 Sydenham House for sale on myhome.ie as at 2012. 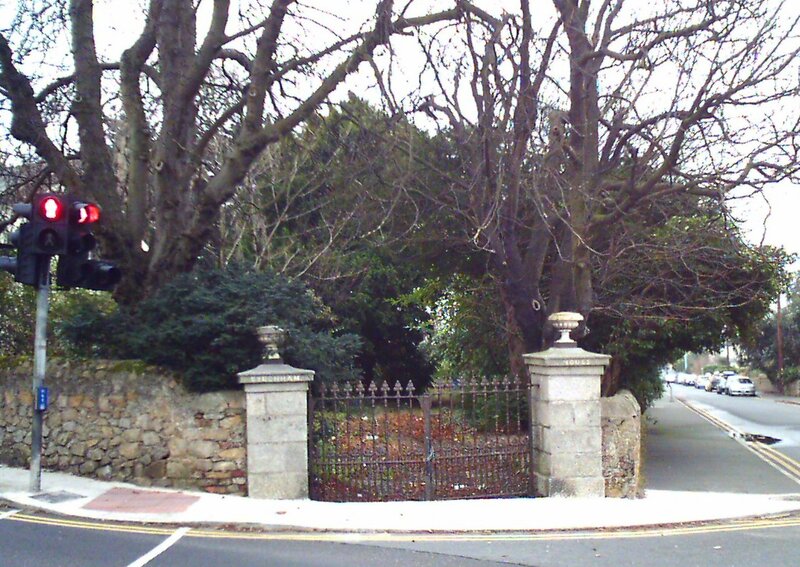 Gate of Sydenham House, Dundrum. Photo 2007. See larger and full size and alternate shot. 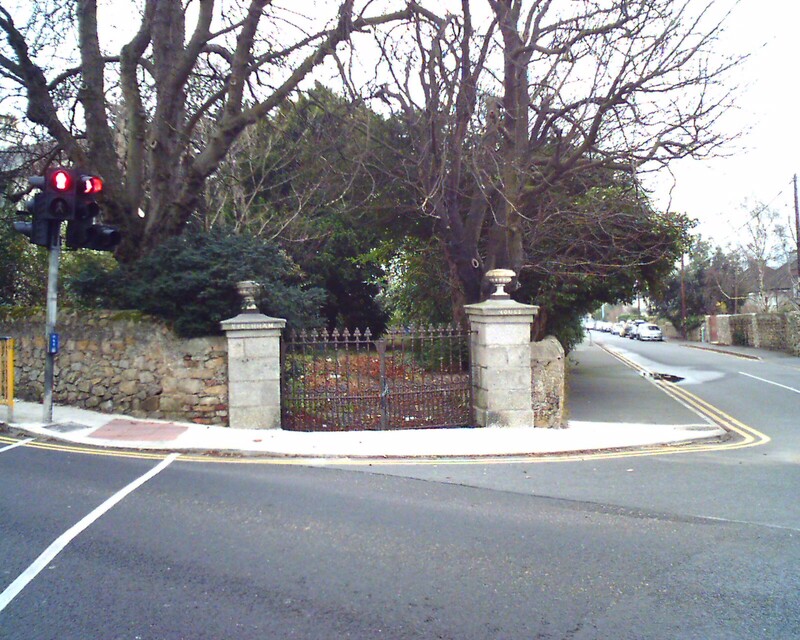 The wall between Sydenham House and Taney School being re-built, late 2012.